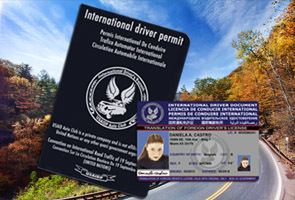 Drive a car almost anywhere in the world with the USAID SYSTEMS, INC International Driving Permit, we are a great service company to our clients for the international driver's permit. Use our online application system and it will register quickly and simply; The process is generated immediately, remember and very important "without examination" and only needs a valid driver's license to apply. 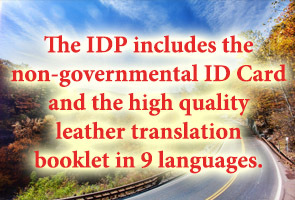 You need to fill out the IDP application form and put together a copy of current valid driver license, and color photo. 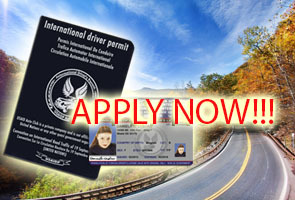 This process can be easily entered online, with scanned Application, images of photo, driver license and signature in Jpeg format (the fastest way). Our translation has no official status and does not confer any legal privileges or rights on consumers This is not an official document. Order your license online or by mail, also if you already have it and is about to expire, and renew it !! !.